Clyde Drexler is HOME with a very loving family in Dillsboro, IN. 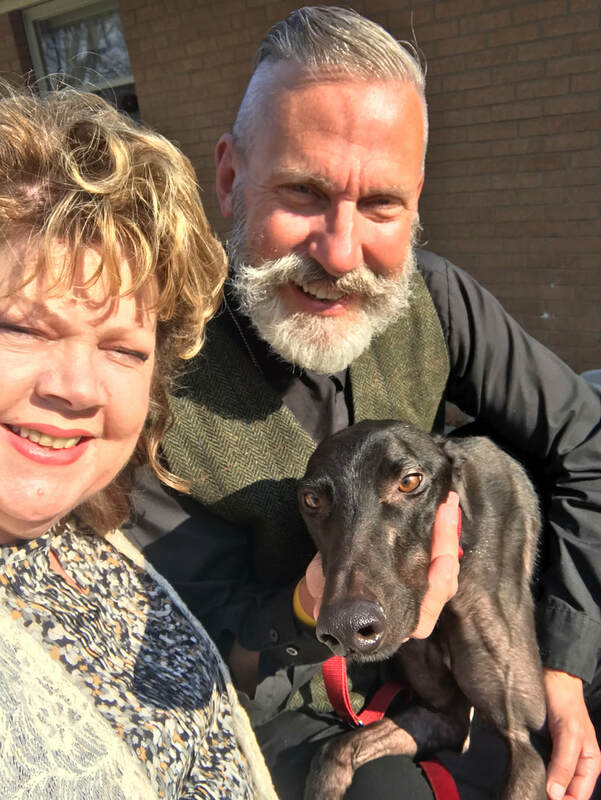 They recently lost their female greyhound, Josephine who was very special to them. This family has had three GAGC hounds and have adored each one. Tina and Richard offered to foster Clyde and well he worked his magic and became their new family member! He is a very needy boy and he hit the jack pot with finding this family who will give him LOTS of attention that he so deserves!